Bruce Gallio, PA-C has practiced as a Physician Assistant in the Reno area since 1998. He has specialized primarily in Orthopedics but also in ER medicine. Bruce also served as an officer and Physician Assistant in the US Air Force (Nevada Air National Guard). He serves on the editorial review board for the JPAOS and continues to be involved with both national and local educational seminars on Orthopedics. 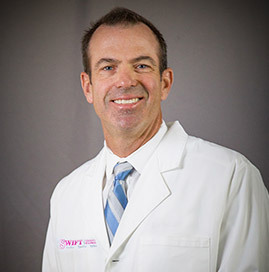 Bruce is actively involved in the education and training of physician assistants as a Clinical Faculty member at University of Nevada, Reno (UNR) School of Medicine and in the Physician Assistant program. — Air University; Maxwell Airfare Base, Montgomery, Alabama. (ACSC) Air Command And Staff College-presently enrolled. — Northeastern University; Boston, Massachusetts - (PA) Physician Assistant-1998. — Northeastern University; Boston, Massachusetts - (MHP) Masters of Health Profession-1998. — University of Nevada, Reno; Reno, Nevada - (B.S.) Bachelors in Biology-1992. — Metacarpal and Phalangeal Fractures. PAOS Annual Meeting 2013, San Antonio, Texas. — Compressive Neuropathies. PAOS Annual Meeting 2013, San Antonio, Texas.